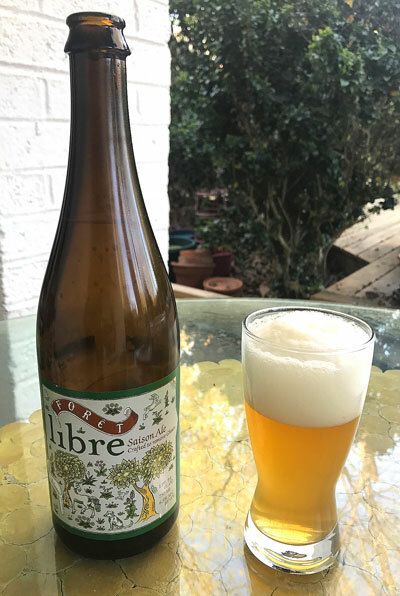 This gluten-removed Belgium Ale is an excellent, very drinkable beer, in fact it just became one of my favorite gluten-removed ales. This beer was hard to find, but well worth seeking out. Siason Ale, also known as Farmhouse Ale, is an old Belgium style that is typically brewed in the winter to serve in the summertime. There was a time when farm workers would be given this ale while they work to keep them cool and refreshed. Look: This beer poured with a big, fluffy off-white head with an opaque, pale golden body. Smell: The aroma was floral and yeasty. Taste: taste very much like an ale, the kind of ale I remember drinking years ago. It has a clean, slight lemon hint with a smooth creamy finish. Made with the same yeast and recipe as the famous Saison Dupont, named the “Best Beer in the World.